Buró-Buró is an office and publishing house dedicated to the design and development of cultural projects ranging from publications to new platforms for the dissemination, education and reflection of the arts and culture. To date we have collaborated with several institutions seeking to advance their impact and reach from their mission and program, always seeking to promote culture as a tool for development. Buró-Buró is a publishing house focused on books of art and design. We explore everyday the new art of making books. 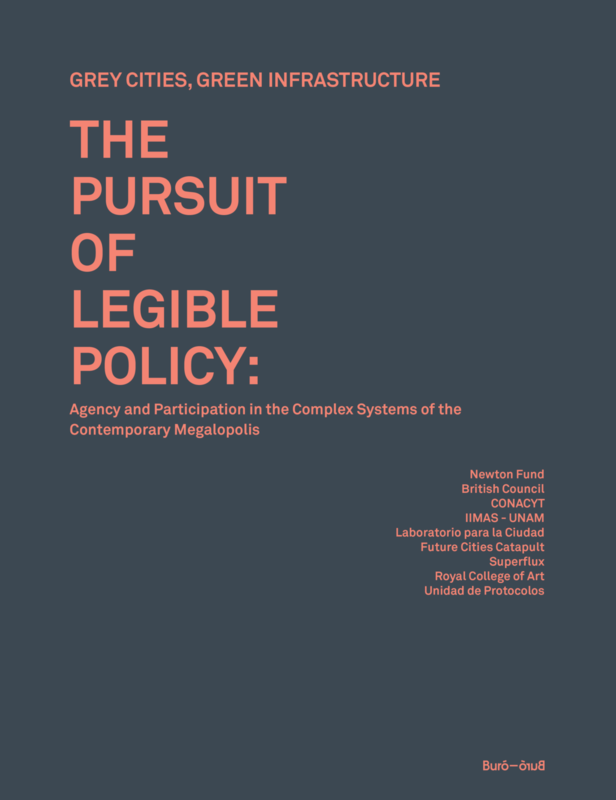 Given the complexity of urban landscapes, legible policy has emerged as an important aim for urban laboratories, suggesting ways to increase citizen participation, heighten impact of policy decisions, allow for greater inclusion in political processes and stimulate citizens’ agency. This publication is the result of a binational collaboration in which urban laboratories from London and Mexico City worked together to identify and propose tools and methodologies to make policy legible. The project was supported by the Newton Fund, the British Council, IIMAS – UNAM and CONACyT. Around the turn of the 20th century, European influences were strong in Mexico City and the Art Deco style flowered in neighborhoods around the center of town. 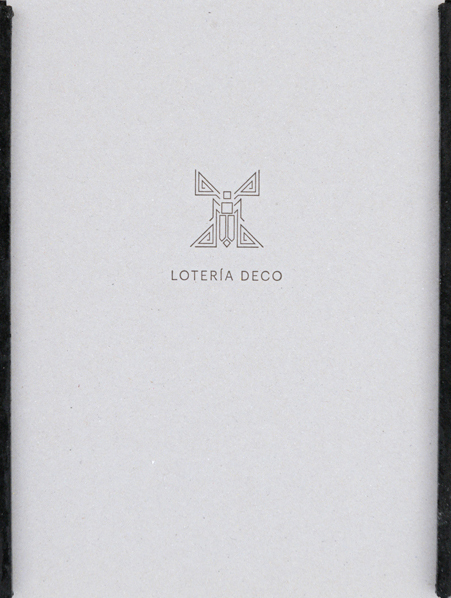 Lotería Deco is a game based on the architectural details and the design of this moment in history that has been recorded through a series of walks through the city. Window bars, patterned tiles, architectural adornment and balcony handrails, created by artisans and designers during this flowering era, offer a rich catalogue of visual delights to be found along the lengths of the streets of Roma, Condesa and the Historic Center. The game was printed by hand on our antique Vandercook moving type printing press in Mexico City. Various specialists believe that literature is an inhabitable place. And in a country accustomed to fear and violence, the establishment of fiction is much more important than the actual works that it creates, because here appears the stories that satisfy our bewilderment. The narrative saves us from the progressive grievance of the truth: imagine that without it we would be an enormous country coming undone like a horror film, a work of science fiction or a black novel. of two editions of Almanaque Azul (Blue Almanac), a local and sustainable tourism guide published in Panama. 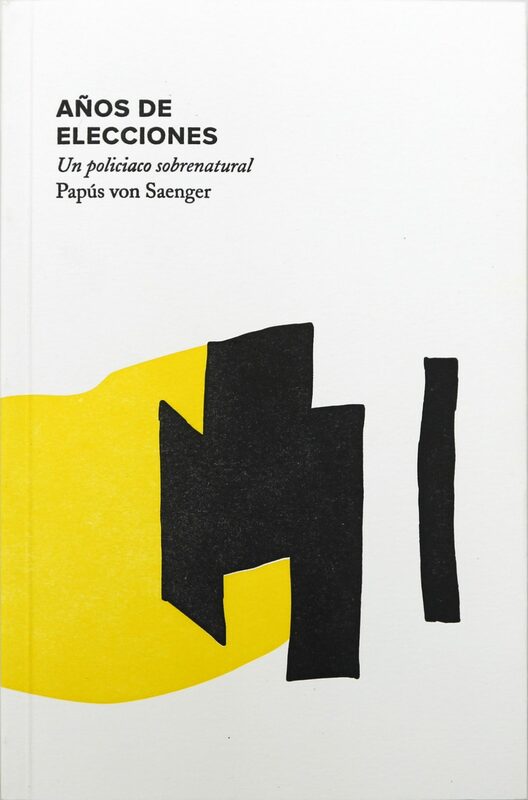 Años De Elecciones is his first novel. 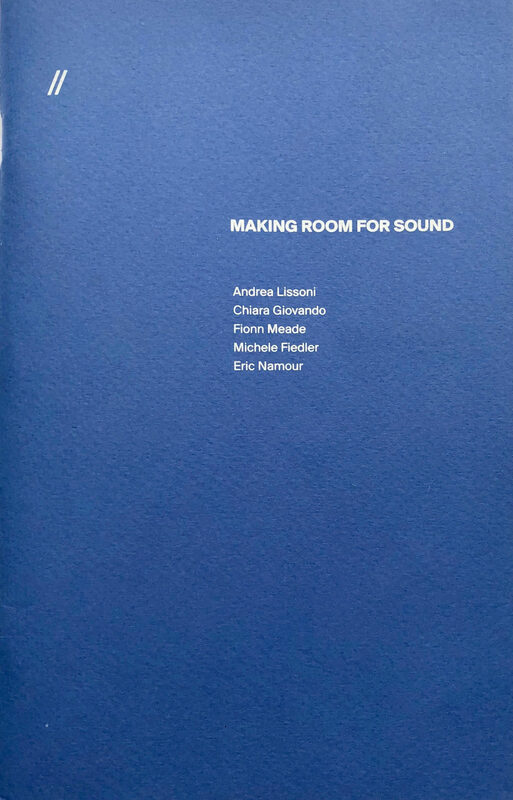 This Libreta presents an essay by Inti Meza Villarino and an interview Meza conducted with Keith Rowe, the father of electroacoustic improvisation, in the Spring of 2016 in the framework of his previous participation at elnicho Festival in Mexico City. 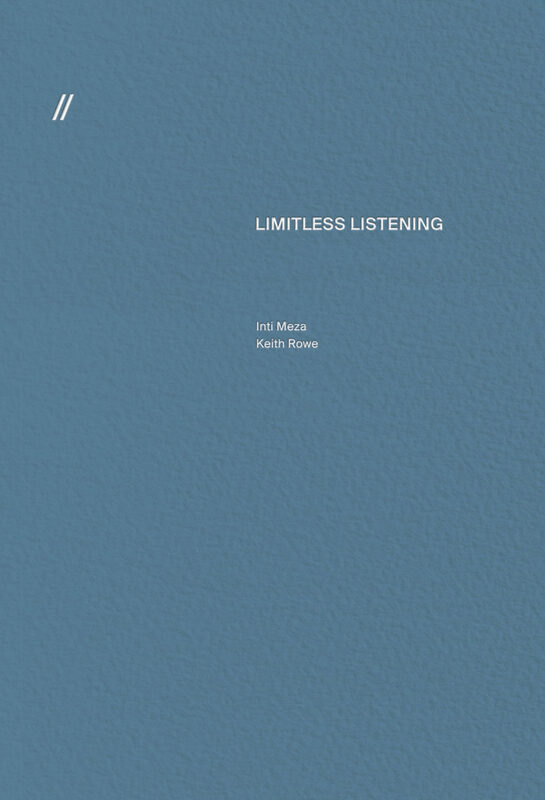 In Meza’s own words, “Keith Rowe explores the nagging questions that the field of visual arts began to interrogate in the 20th century, bringing them to the musical universe under the counter. These inquiries are about the ways we experience modifications to the notion of space in music, the preponderance of the role of listening in the resignification of sonic events, and the timbric exploration translated to the whole world, beginning with everyday life. (…) Keith ignores the disciplinary boundaries that separate the aural and visual orders. He exchanges and trades with different poetics, tracing a sound whose significance emerges from the way it visually operates. For Keith, nothing changes; he keeps painting with his guitar.” An editorial project that aims to open new sound territories for a wider audience. 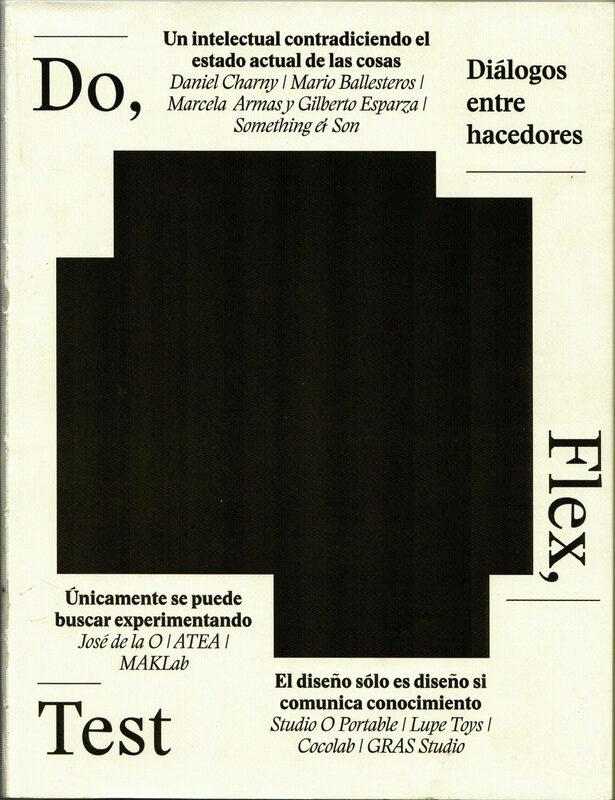 Do, Flex, Test. Diálogos entre hacedores (Do, Flex, Text. Dialogues between makers) is a publication offering a window to design production processes that are understood from the dynamics and perspectives of the maker. Creating a bridge from the maker’s movement with the work of the Italian designer Enzo Mari in the 1970s, the publication presents eleven artists and designers from the United Kingdom and Mexico and contributes to the reflection on an attitude, a trend in design, a movement and a dizzying development of makers in the present moment. This publication of the Spanish artist David Bestué explores the work of the Spanish engineer exiled in Mexico, Félix Candela, by using poem-diagrams to propose an analogy between the language of engineering and poetry and turning to physical terms to describe emotions. This project is a result of the artist’s residency in Mexico in 2013 with de_sitio. With various publications, expositions and investigative works already done around Félix Candela, and this year witnessing particularly prolific revisions of his work in Mexico, this publications offers a new point of view to understand Candela’s legacy, inviting us to embark on new paths for exploring the structural relationship between static architectural forms and bodies in movement. Bestué invites 8 people: a dancer, an opera singer, an acrobat, a physiculturalist, a fakir, a yogi, a mime and a poet to carry out a series of actions that the artist then converts into structural poems that, in his own words, can to be understood as “(…) some words written on the emptiness of flesh”. This book was created to accompany the exhibition Citizen Culture: Art and Architecture Shape Policy in the Santa Monica Museum of Art. It is an editorial project that came about in response to the complexity of representing and interpreting the processes and evolution of projects that transcend art and politics presented in the exhibition. To explore this border, a compilation of artists’ and architects’ words have been extracted from interviews, publications, videos, archives and other materials gathered during two years by Lucía Sanromán, the curator of the exhibition. Reforma is a typographic tour through the “reforms” of one of the most outstanding avenues of Mexico City at a time in history that promoted multiple structural changes in different sectors of government. This project by Blair Richardson, is a collaboration with Little Mule Studio.